The Senate Research Committee at Bishop’s University has awarded the 2019 Emerging Scholar award to two outstanding researchers in their respective fields: Dr. Jason Rowe, of the Department of Physics and Astronomy, and Dr. Osire Glacier, of the Departments of Politics and International Studies, History and Religion. 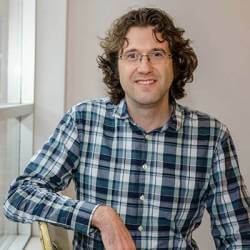 Dr. Jason Rowe holds a Canada Research Chair in Exoplanet Astrophysics and has been a member of the Department of Physics and Astronomy since July 2017. He has been a member of the Kepler team as a NASA Postdoctoral Fellow; his contributions to the first Kepler discoveries and his work on the measurement of the fundamental parameters of exoplanets earned him NASA Exceptional Scientific Achievement Medal. He was also a member of the SETI (“Search for Extra-Terrestrial Intelligence”) team as a research scientist, where he contributed to the discovery of several Earth-sized exoplanets. He subsequently received a second NASA Exceptional Scientific Achievement Medal. He has authored or co-authored over 200 publications and was named by Clarivate Analytics as one of the world’s top 1% most cited researchers in their respective fields in 2017. He continues to collaborate with NASA and with the Canadian Space Agency. 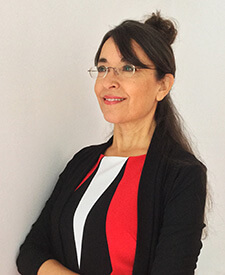 Dr. Osire Glacier is a scholar of women’s history, of the politics of gender, sexuality and human rights in postcolonial Morocco and a prolific author. She has published five peer-reviewed monographs since 2013: Femmes, Islam et Occident (Pleine Lune, 2018); Femininity, Masculinity and Sexuality in Morocco and Hollywood (Palgrave Macmillan, 2017; translation, Le sexe nié : le féminin, le masculin et la sexualité au Maroc et à Hollywood, published by Pleine Lune in 2019), Les droits humains au Maroc: entre discours et réalité (Tarik Editions, 2015), Universal Rights, Systemic Violations and Cultural Relativism in Morocco (Palgrave Macmillan, 2013), Des femmes politiques d’hier à aujourd’hui (Tarik Éditions, 2013; translation, Political Women in Morocco : Then and Now, Africa World Press, 2013), as well as numerous peer-reviewed articles. Dr. Glacier has also been very active in engaging in knowledge mobilization activities, including engaging in a local Café scientifique, giving radio interviews for Radio-Canada’s French-language and Arabic radio stations, contributing to documentaries, contributing articles or op eds for several mass media outlets in Canada and abroad, and taking part in community roundtable discussions in order to share her expertise. She also disseminates her research on very timely and relevant topics in easily accessible terms on her website, etudesmarocaines.com.